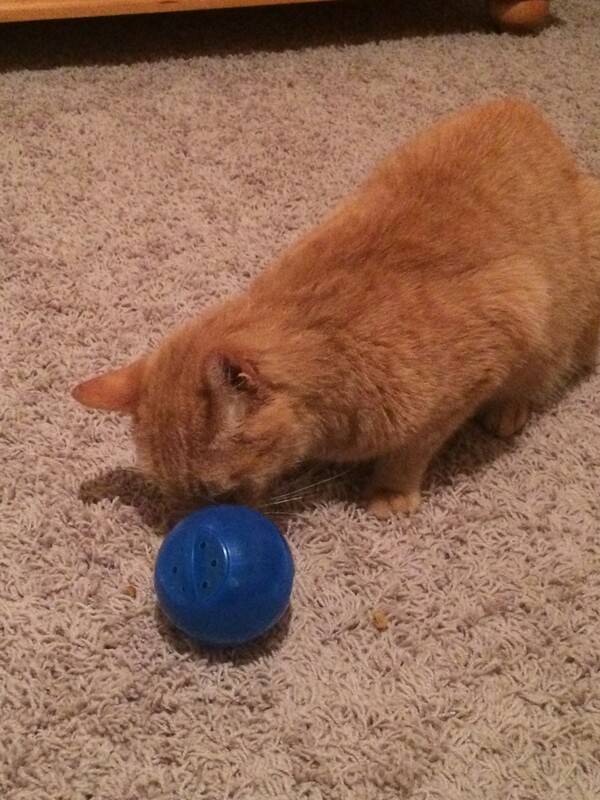 The Slim Cat Ball is an excellent introductory toy. It is clear, easily rolled and has multiple holes for the food to dispense from, allowing the cat to quickly learn the game. It is very important that cats are successful in the beginning. 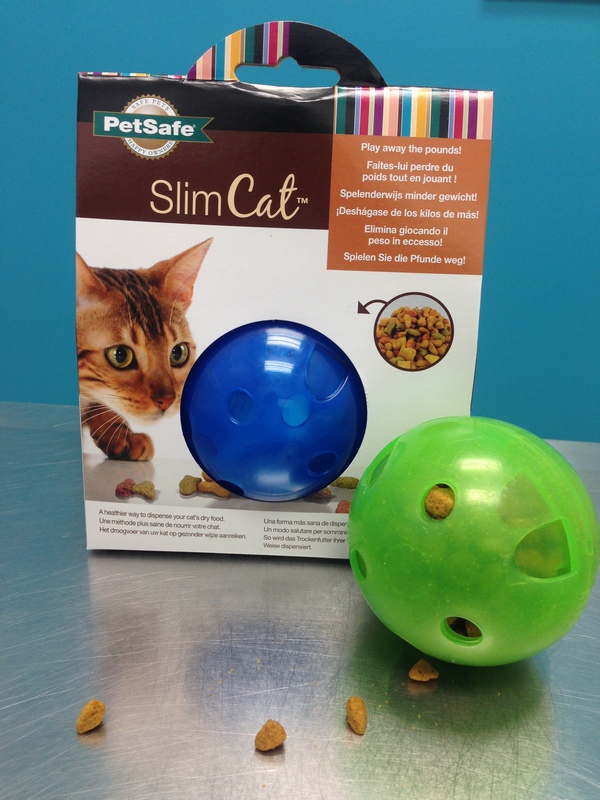 This puzzle is adjustable to accommodate a variety of dry food sizes and can be made more challenging by covering one or two holes with scotch tape. Available in four fun colors: blue, green, orange and pink! Exploring his new puzzle for the first time.